I am sure I saw Maggie Bear introduce this recipe with Simon on ABC’s The Cook and the Chef. 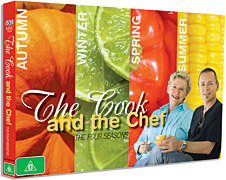 I have scanned this DVD of recipes but it isn’t there and so it might be on a later series. You would probably be thinking that given some of the other stuff I post my interest in food might be something of a surprise. Well it is a surprise to me too. I find it fascinating to see and read all the great sharing of recipes tips you can find on the web. In fact I was amazed to see my comrade and friend Scot McF posting a recipe for ANZAC biscuits on his facebook the other day. This may not be new for Scott but since I saw that entry on face book it seems he is quite the Jamie Oliver. I will post his bickies recipe here soon as they will go nicely with my Queen Mary tea blend. 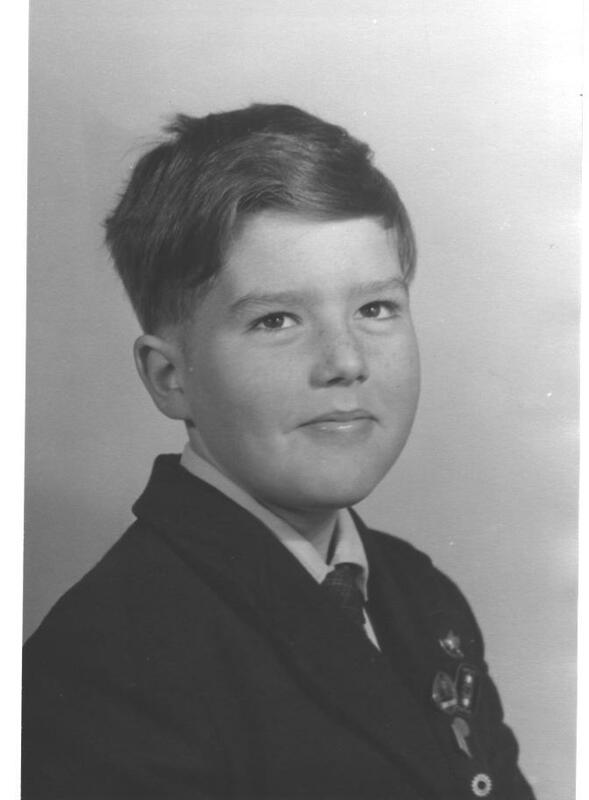 I have secured his permission and my modest comrade said it wasn’t his anyway. So to my meager offering today. 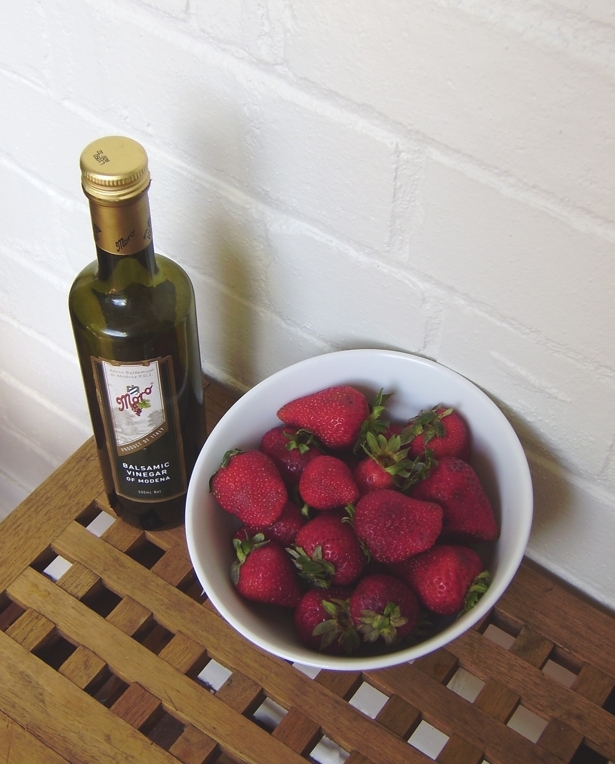 Without any shadow of doubt, it’s best to eat strawberries in their natural state. Served fresh they add a nutritional edge to all meals and snacks. It is a fruit that is high in fibre. Did you know Eating only 8 strawberries per day is only 45 calories Don’t ask what size the strawberries are as where I got this info from it didn’t say…so let,s keep moving . My mouth is watering already as I know what the end result will taste like. Strawberries will lead you to a healthier heart and strengthen memory. One serving will provide you with 3 grams of fibre out of a recommended 20-30 grams per day. Dietary fibre is known to lower blood cholesterol, decrease the risk of heart disease and promote a healthy digestive system. Studies show that people who eat high amounts of fibre have lower risks of cardiovascular disease. I don’t know what happens to the taste buds but certainly when combined with sugar the effect in the mouth is amazing visually it deepens and brings out the beautiful colour of the berries, and truly enhances their flavour. 1 punnet of strawberries? Are you kidding when you get your laughing gear round these strawberries you will want 2 punnets? Trust me on this. Whatever you choose you need about 4 tablespoons, though I must say I just get the sugar jar and shake it over the fruit and say when. Yes I’m that exact with my measurements In one recipe I saw it suggested a cup which seems rather a lot. You need (officially) I have read 2 table spoons per punnet. But again I use the shake it all about approach and with bottle in hand say when. I promise it works every time and creates a slightly different flavour each production run. More vinegar more juice. 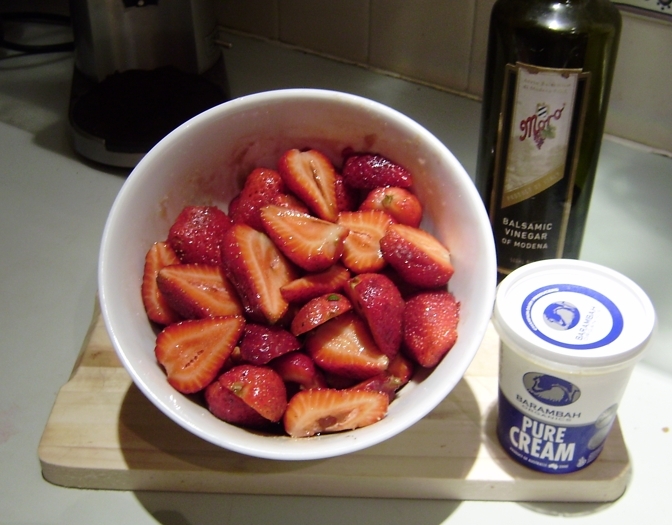 Next is Cream from Gippsland You could if at a local IGA, Woolworths, or Coles choose this cream. Be aware that many of the Double Creams like Pura have thickeners. Nothing wrong with this and in fact the gelatin they contain might be good for your nails and hair, but they aint naturally thick. The third cream is Brambah Organics. I first came across this in the little shops at Griffith Canberra. This is sensational and not to be event sniffed at if you are carrying to much or want to lose some excess pudding. You can get this from Thomas Dux and Harris Farm. The pot on display is single I made an error when picking it off the shelf ooops. 1) Get the berries. You did check the bottom of the punnet didn’t you for squashy ones. 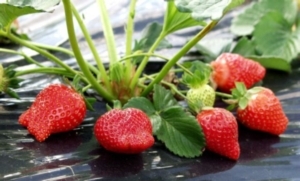 Start to remove the stems (hulled) and leaf material known as the calyx and cut in half or into quarters depending on the size of the strawberries. At this point it’s not a bad idea to keep a check on the quality of the fruit from time to time. It’s easy to just pop one in your mouth as you go. 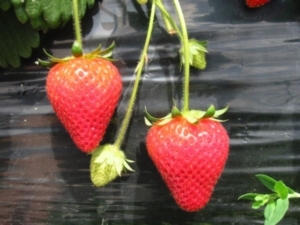 Just remember we started out with 2 punnets and for this to all work we need to be close to that amount by the time the preparation has finished. Make sure no one is looking though when taste testing. It’s also not a good look so refrain from sucking your fingers as you do this. 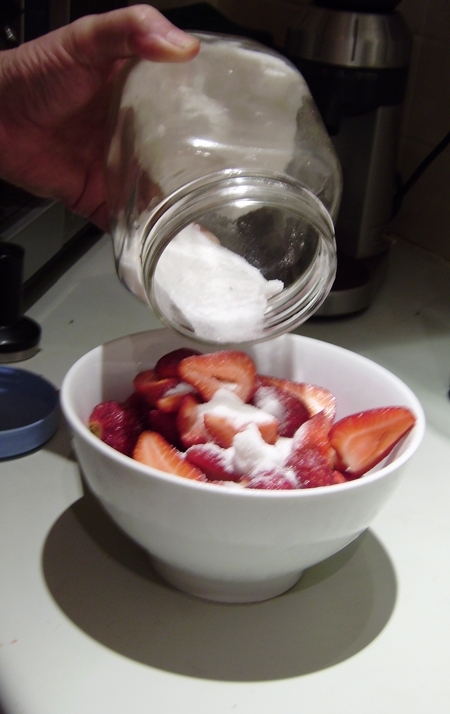 2) Place the sliced berries in a medium non-reactive bowl (such as glass). I suppose if you put them into aluminum the vinegar starts to corrode the surface. What would I know? So a glass bowl it is for you though I always use a normal bowl such as you have at the local Thai restaurant when having a green chicken curry. 3) Sprinkle the berries with the sugar and drizzle ( me I just splash) the balsamic vinegar over the fruit, and toss gently to coat. 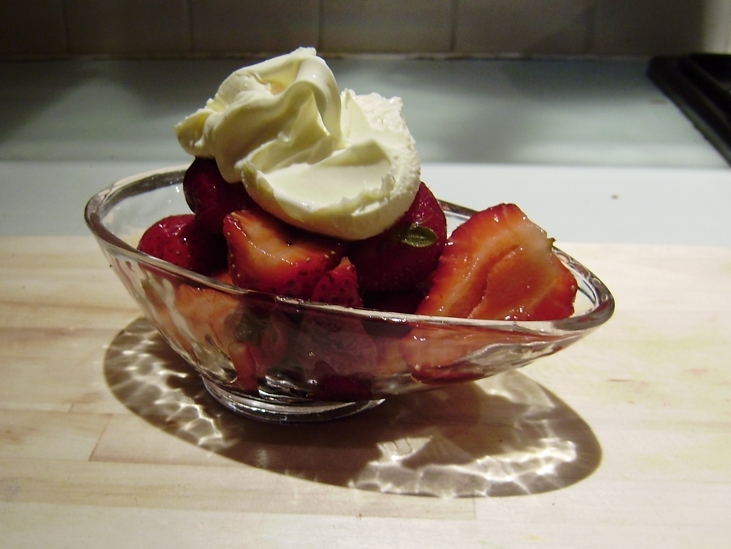 Serve in bowls and allow your guest to dollop on the Cream. You can now experiment by doing 1 of 4 final touches. 2) Add some chilli and sprinkle with dark chocolate to above …..this is a wild taste. You can always serve the berries over salad, ice cream or try them in sponge cake. But best keep it simple just serve in dishes with a lots of cream. If you live in Canberra go to the Chameleon Ice Creamery Hamblin Place, Florey ask for Rhonda. You will find the Vanilla is pretty much the best in the World!! So what strawberries for this sweet? Well when I decided to look into this I found out something about the varieties of strawberries we have in Australia. I knew none of this before this! 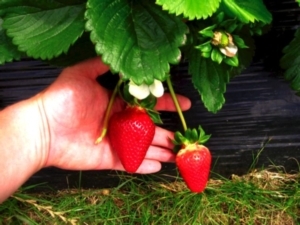 There are different varieties of strawberry plants such as Honeoye, Mount Everest, Florence, Delia, Mara de Bois, and those listed below which I understand are the ones you are most likely to come across. I recall in Mitchell markets (where incidentally I used to spruke on Desires fine foods and a couple of time on the Chai stall with Anthea C) there were some varieties that I have not found by Google. I can say they were VERY SWEET though. Produces an outstanding flavour and early indications are that the aroma from ripe fruit is unmatched by any other commercial variety. Available from October to January. produces the most delectable fruit when grown in warmer districts. Apparently this variety is very close to the perfect variety for consumers according to taste panels. Highly rated for the best combination of taste, juiciness, aroma and appearance. 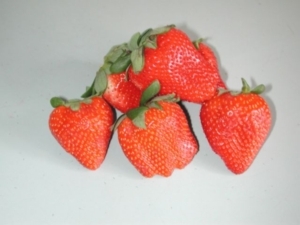 This bright red fruit is moderately glossy, extremely large and has a good low acid sweet flavour. I am now listening to the Eric Clapton 2010 Guitar Festival I have stared on the “Music of the Revolution” and all the other things that are in various stages of completion. Must show you the place where I do all my thinking and tinkering. I visit taste spotting and/or food gawker on a daily basis and, as a result, have printed more recipes than I could ever prepare in this lifetime. 🙂 (If you’ve not seen them, you should check them out; the photography is lovely.) With all the fabulous food blogs, who needs to buy cookbooks anymore? Hello Well that is 2 of us who have rediscoverd cooking. I have another kitten I got last week …seems I am going your way with cats.